"You are better than them. Don't forget it," a grandmother whispers to her grandson, S. M. "Mac" Otts. The year is 1965, and an eighteen-year-old boy stands curbside in his Black Belt hometown—weapon in hand—defiant before a peaceful civil rights demonstration. Violent pandemonium follows the quiet moment. 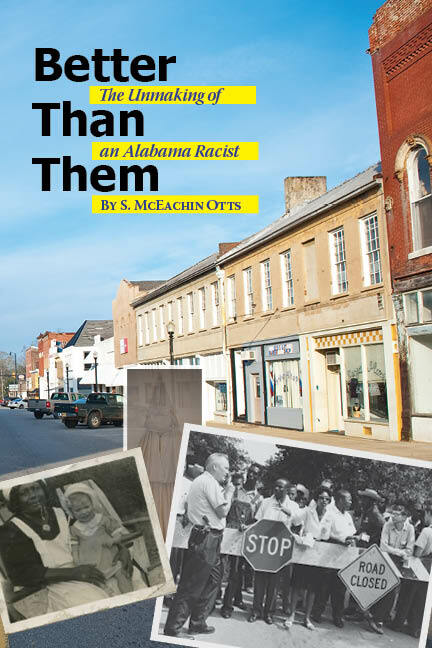 For the rest of Otts's life, his grandmother's words haunt him and inspire the writing of his powerful memoir, Better Than Them: The Unmaking of an Alabama Racist. With honesty and humility, Otts uses that memorable day in 1965 as a lens through which to view the events that shaped his life. He ventures back to examine the antebellum period and to the glories, tragedies, and unspoken shame of his slave-holding ancestors, and forward again to the civil rights era. He probes into the roots of the race-related events involving his community in the 1950s and '60s, seeking understanding about the underlying issues and, especially, of what brings about change. Otts reflects on how he outgrew his racist upbringing and how he finally returned to his hometown to interview select black demonstrators and white peers. The conclusions he reaches make this a memoir about Otts's life and experiences in a racially divided world, but also about how a life is lived and celebrated and understood.